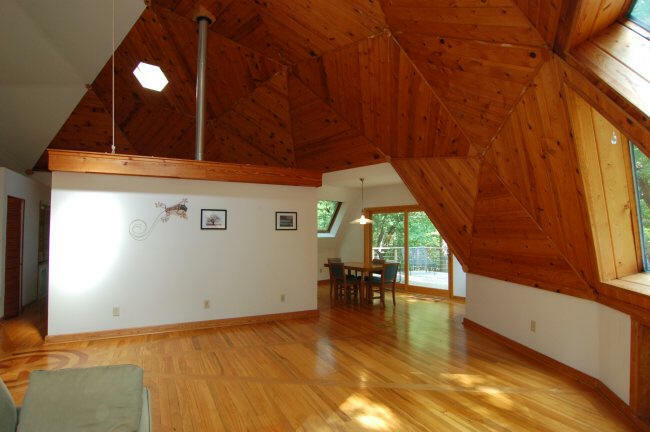 Although the geodesic dome was invented some 30 years earlier by Walther Bauersfeld, Buckminister (Bucky) Fuller, while teaching at NC's Black Mountain College during the summers of 1948 and 1949, began reinventing this idea - and it made him world famous. Fuller also taught at Washington University in St. Louis MO. He came to the NCSU School of Design many times to teach. 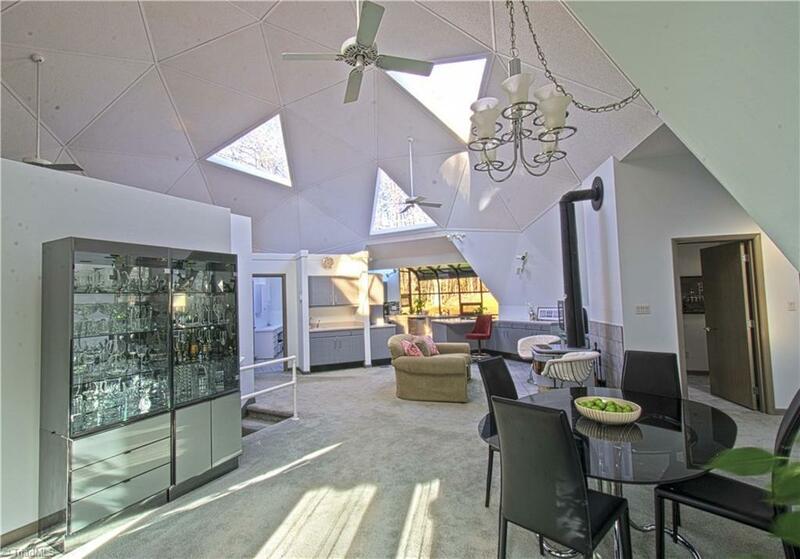 He is well-known for the Dymaxion house, of Wichita KS, below. 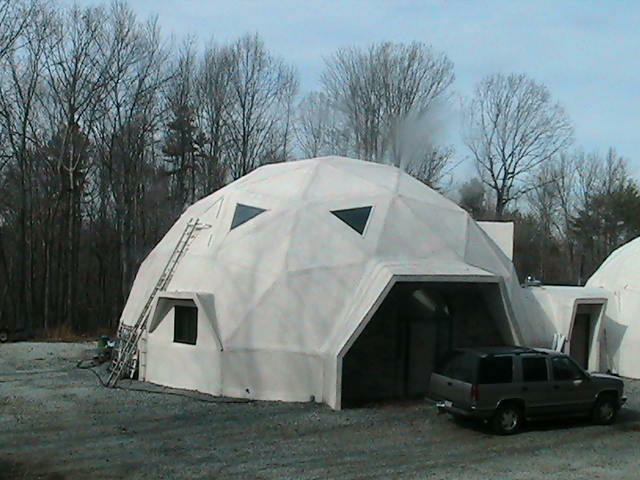 Fuller's dome enterprise, Synergetics, was joined by Thomas C. (T. C.) Howard, who became owner when Fuller left in 1958. T. C. Howard grew up in Denver NC and went to school at NCSU in Nuclear Engineering. He became an architect by passing the state architecture exam, establishing a reputation for brilliance that still endures. In 1956, Synergetics was under contract to the United States Department of Commerce. They designed and test-built a 100-foot diameter trade fair pavilion dome in Raleigh. It was then flown to Kabul, Afghanistan and later used for trade fairs and expositions in South America, Africa, Europe and the Orient. That same year Synergetics designed and built what was at the time the world's largest free-span structure, a 384-foot diameter geodesic dome in Baton Rouge, Louisiana constructed for the Union Tank Car Company as a facility to house and repair railroad cars. 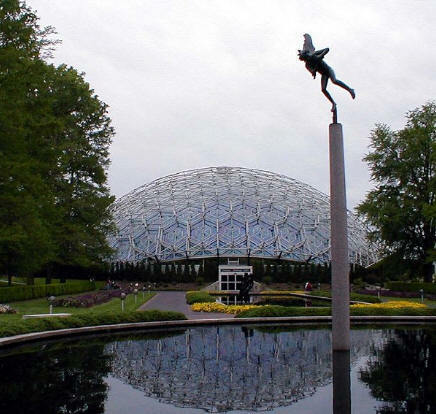 Synergetics Inc.'s dome business boomed, including commissions for the St. Louis Climatron at the Missouri Botanical Garden, left. A 125-foot diameter hemisphere was designed for use by Queen Elizabeth II when she visited Ghana, and other domes went to the Air Force Academy, the 1961 Seattle and 1964 New York World's Fairs, and to Cleveland, St. Louis, New Orleans, and Niagara Falls. 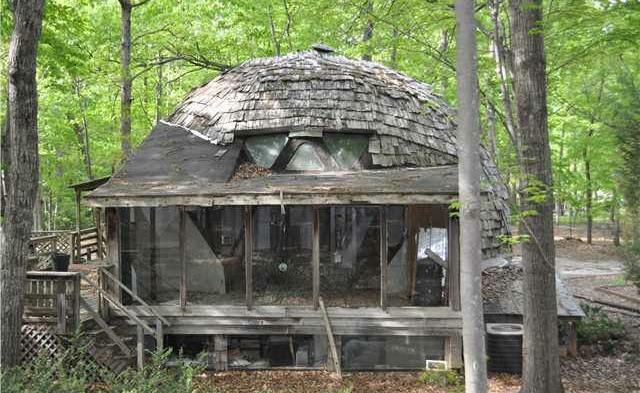 Howard was also an owner of Charter Industries, Inc., a firm that leased domes around the world. Fantasy Entertainment Complex: Kyosho Isle, Japan, 216 m (710 ft). Tacoma Dome: Tacoma WA, USA, 162 m (530 ft). Superior Dome: Northern Michigan University, Marquette MI, USA, 160 m (525 ft). Walkup Skydome: Northern Arizona University, Flagstaff AZ, USA, 153 m (502 ft). Poliedro de Caracas: Caracas, Venezuela, 145 m (475 feet). It was manufactured in Raleigh NC. Round Valley High School Stadium: Springerville-Eagar, AZ, USA, 134 m (440 ft). Former Spruce Goose Hangar: Long Beach CA, USA, 126 m (415 ft). Lehigh Portland Cement Storage Facility: Union Bridge, MD USA, 114 m (374 ft). Adapted from Wikipedia and NC Architects and Builders. 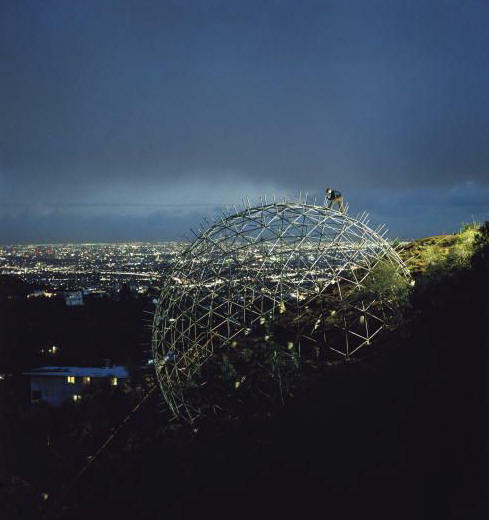 The 1967 Montreal Biosphere by Buckminster Fuller and Shoji Sadao. The St. Louis Climatron designed by T. C. Howard of Synergetics, above. Facebook page. The 1958 Union Tank Car Dome in Baton Rouge LA was the largest clear-span structure in the world, 384 feet in diameter, when built. It was destroyed in 2007. 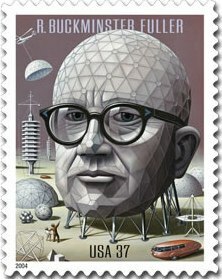 T. C. Howard designed this dome, although most press releases cite Buckminster Fuller. 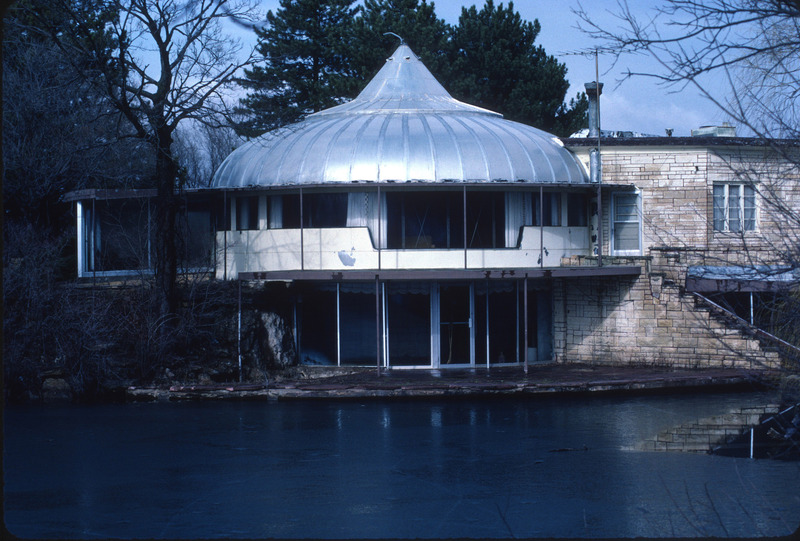 1962 - The Bernard Judge Residence, aka the Bubble House, aka the Triponent House, 2949 Durand Drive, Los Angeles CA. 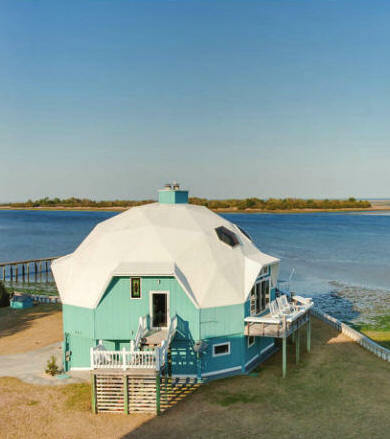 This became one of the most famous dome homes in America. 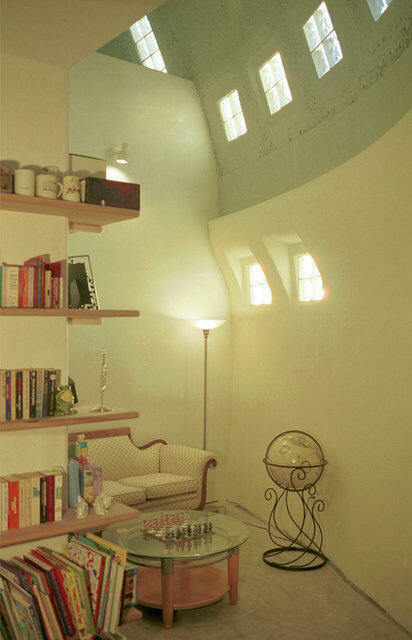 Designed by architect Bernard Judge. It was difficult to control the heat coming through the top, so Judge made a layer of fabric. That did not work, so he added openings in the glass. Photo by Ralph Crane. The house was dismantled in the mid-1980’s and given to the Smithsonian Institution. 1982 - The William H. Bahr House, 1326 Poplar Lane, Hillsborough NC. Assembled from a kit by the Bahrs. Was unoccupied and for sale 2007-2011. Sold in 2012 to John Corey. Repaired, restored, and became an AirBNB rental. 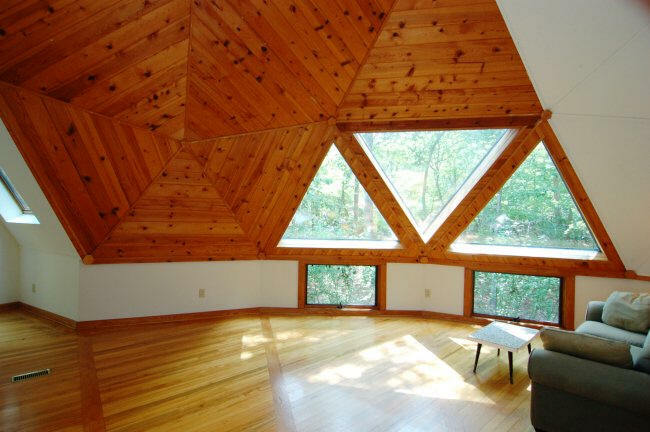 1983 - The Sam Brooks Dome, 3620 Hawk Ridge Road, Chapel Hill. 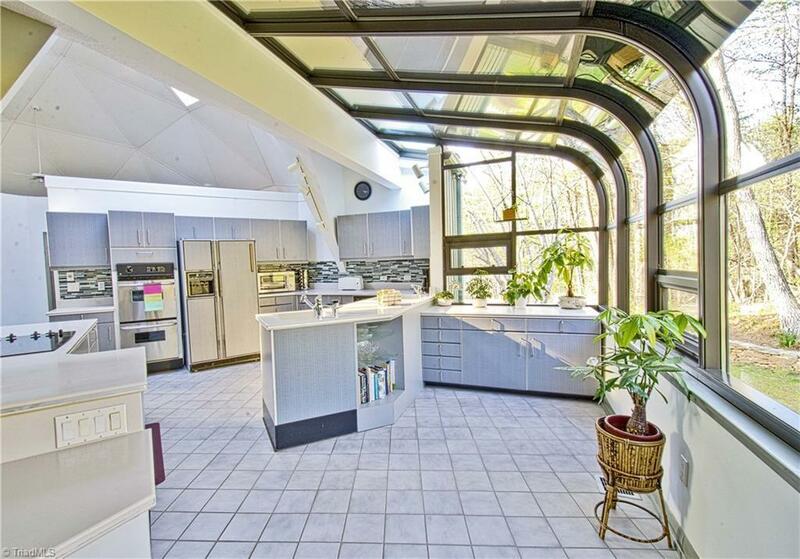 4.5 acres. Sold to David Leigh. In 2011, it was a rental. 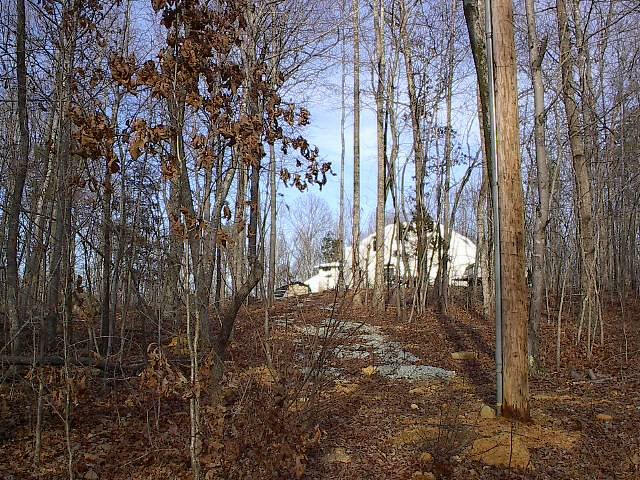 Sold in 2016 to Heather Gurney and Michael Mulaiya. 1984 - 5416 Amsterdam Place, Raleigh. Sold in 1995 by CCB to Kay Marie Williams. 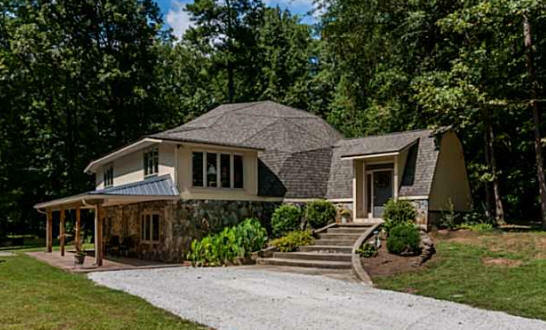 Sold in 2015 to Cynthia A. and Robert W. Sidner Jr.
1986 - The Ethel and Steven Kuschill House, 4722 Cole Mill Road, Durham. 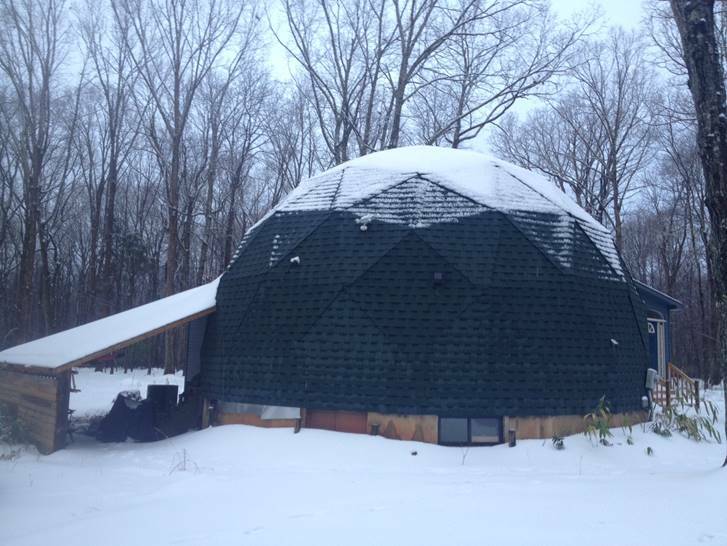 Designed by Natural Spaces Domes & Simone Wilson. 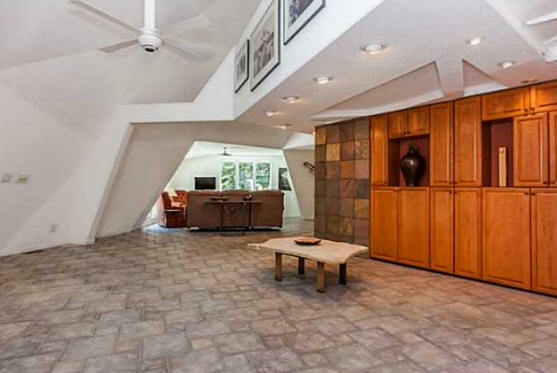 Sold in 1999 to Susanne K. and Van Lee Wilson. Deeded to Van Lee Wilson. Sold in 2001 to Richard Stokes Forringer. Sold in 2016 to Chrissy B. and Ryan J. M. Sailstad. Sold in 2017 to Leah D. Jackman and Merrick L. Brown. 1988 - The John and Marjorie Asel Dome, 212 Fernham Place, Lewisville NC. Built by Harvey Hinkle, Covenant Construction from kit by Monterey Domes. 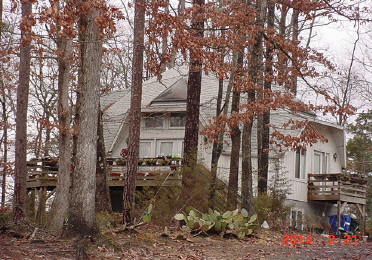 Sold in 2004 to Lynn Sutton and Bill Kane. Sold in 2018 to J.R. and J. M. Rabon. 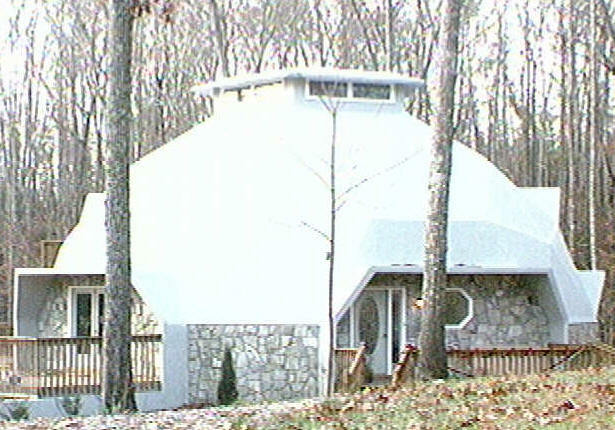 1991 - The Vita L. Jones and Archie Marie Jones Dome, 419 Obie Drive, Durham NC. 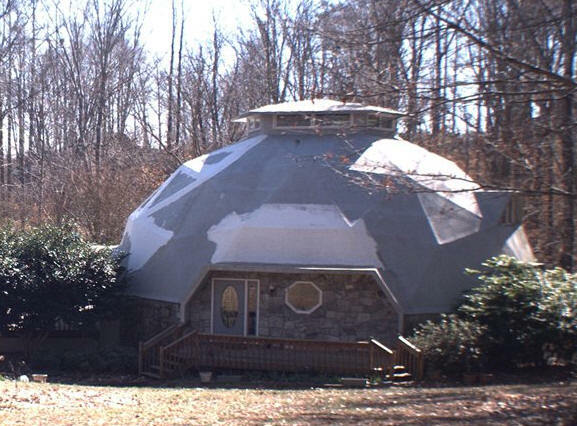 1994 - The Randolph and Anita Brack Dome, 8209 Park Side Drive, Raleigh. 1998 - The Sharon V. and Vincent R. Smith Dome, 284 Williams Road, Wilmington NC. 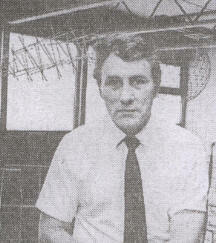 Built 1988 by John Evans. Photos by Rick Racozzi. 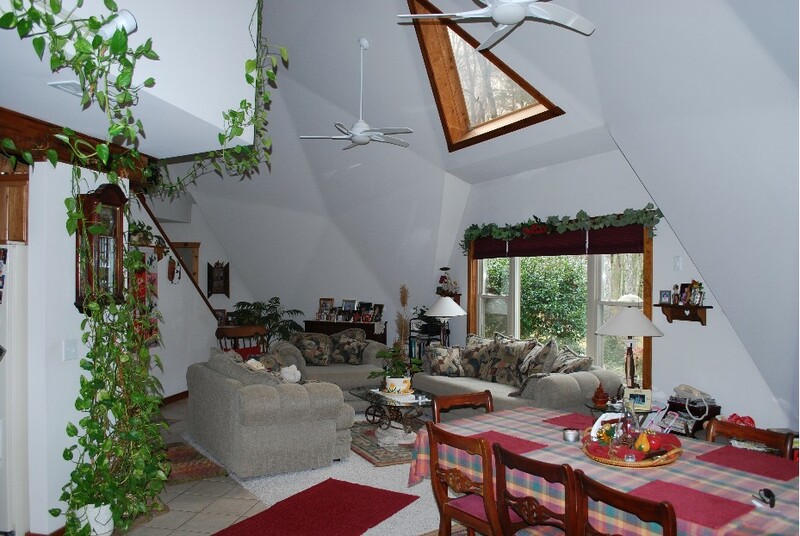 1998 - The Kay and Les MacFee Dome, 3300 Tranquil Trail, Mebane NC. 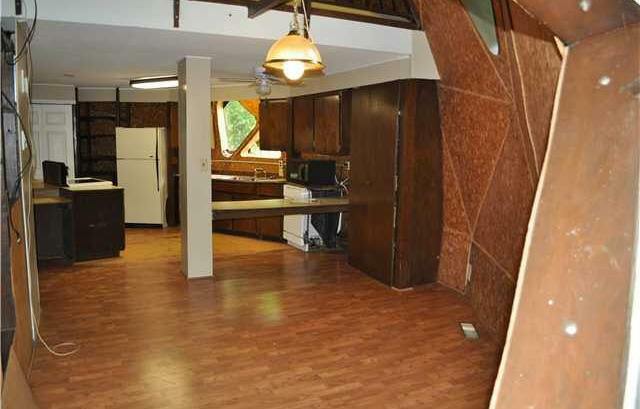 45' diameter, 2400 square feet, 3 levels, 3 bedrooms and 3 baths. 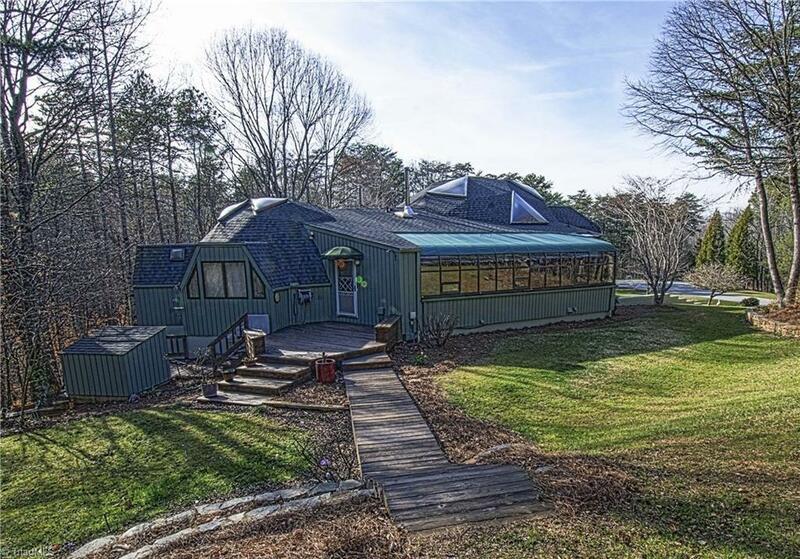 Located on a 10 acre lot. Sold in 2015 to Samantha Earnhardt. 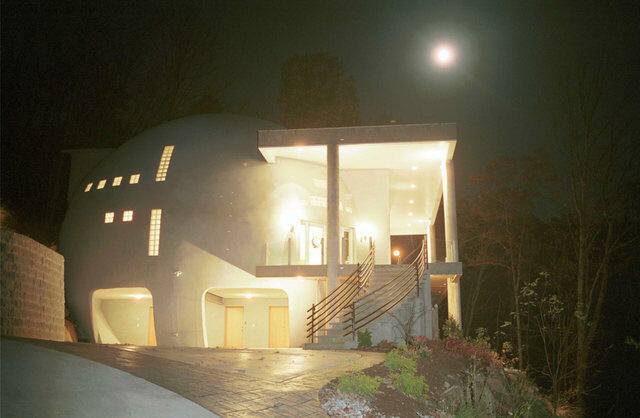 2000 - The Jim and Melanie Kaslik Dome, aka Cloud Hidden, 611 Upper Sondley Drive, Asheville NC. 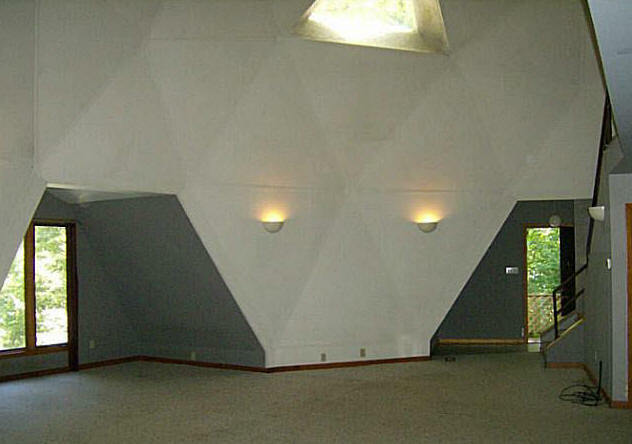 Manufactured by Monolithic Domes. 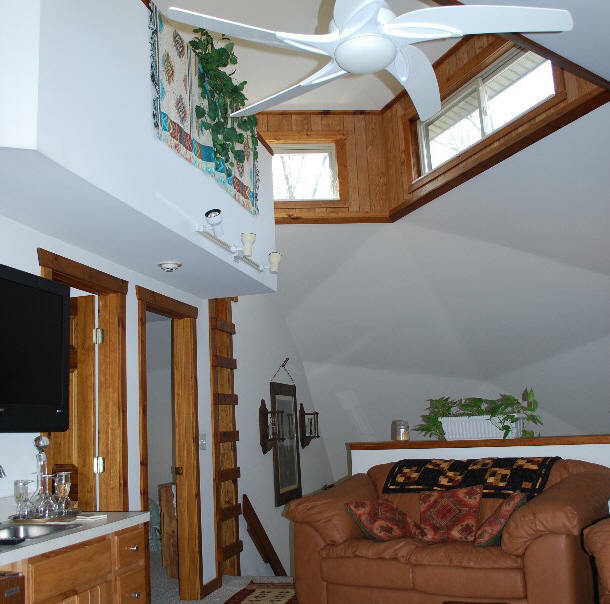 Overlooks the Blue Ridge Parkway. 5300 square feet of heated living space, 2000 square feet of unheated living space and 1000 square feet in an elevated, two-level, stamped-concrete porch. 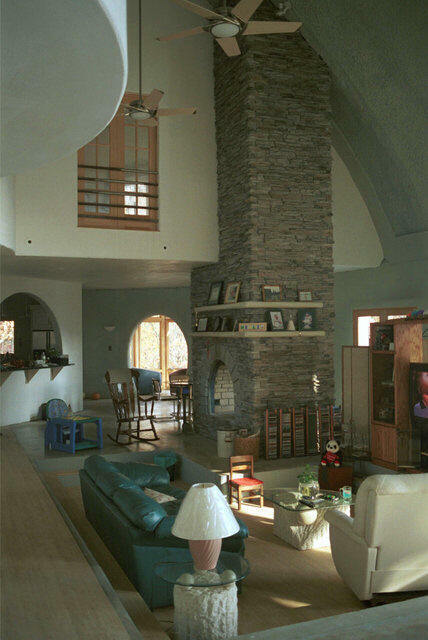 Featured on HGTV in 2001. 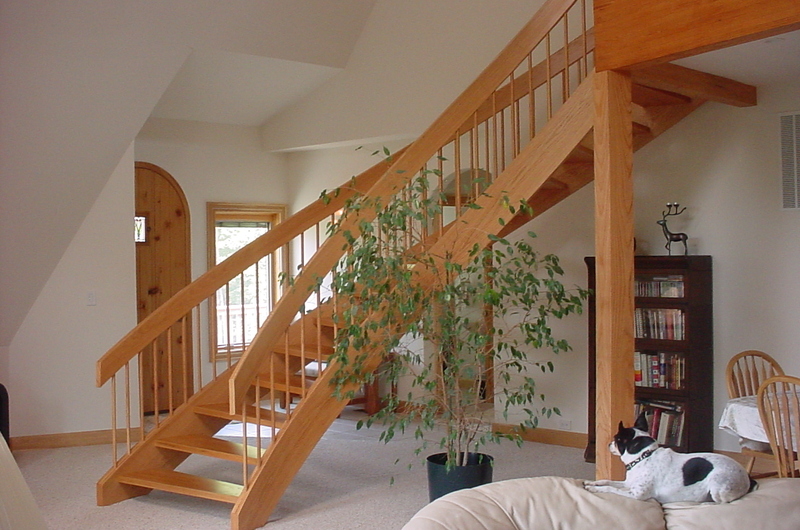 Featured in the Aug/Sep 2003 issue of Fine Homebuilding Magazine. 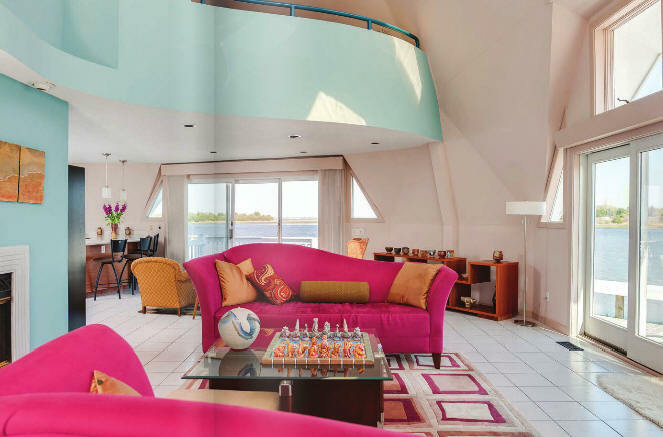 Featured Sep 2006 in Architectural Digest. Sold in 2007 to Craig Crossman. 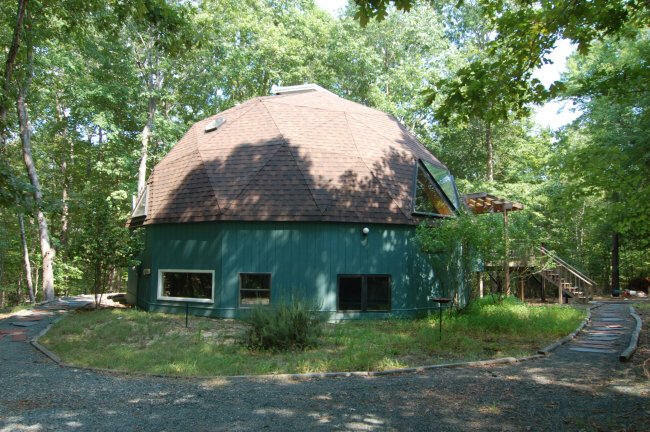 2004 - The Mark Molitor Dome, 301 Sky Lane, Pittsboro NC. 10 acres. 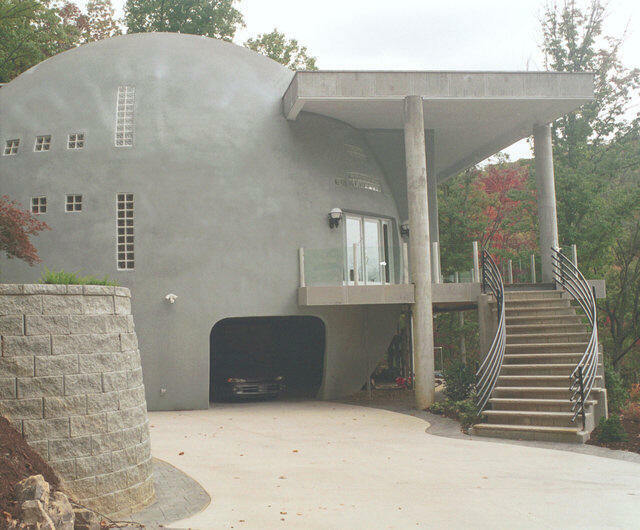 Molitor designed the house himself. 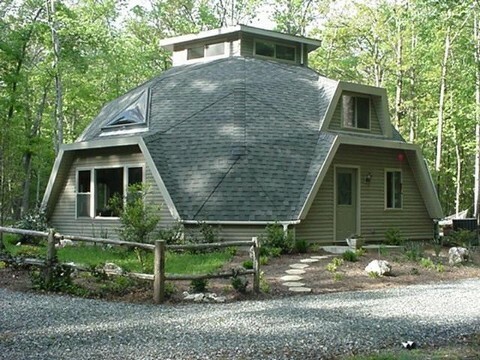 The shell is a kit configured from Oregon Dome consisting of 2”x6” Douglas Fir construction materials. It arrived in a 53’ trailer. The exterior is stone and has an insulated concrete form basement. 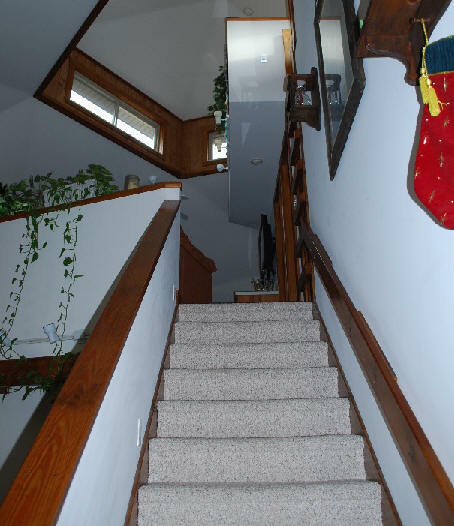 Molitor served as general contractor and did most of the finishing work. There is a 4-floor manual dumbwaiter! 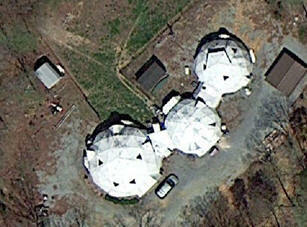 2005 - The James L. Funk Domes, 881 Thunder Road, Rougemont NC. 2014 - Ferguson Road area, Chapel Hill. For use in an annual festival. Photo by Virginia Faust. 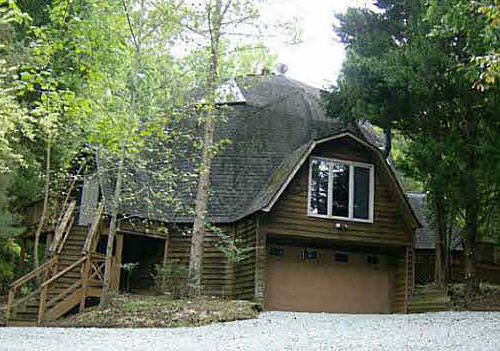 Year unknown - The Daniel B. Stern Dome, 5925 Oakley Road, Cedar Grove NC. Status unknown. 2001 Photo by Matt Jones. Needs verification. 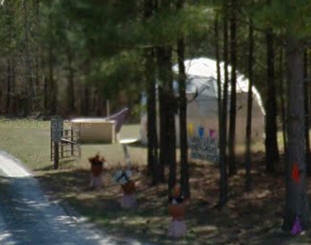 Year unknown - The Long Leaf Pines Oasis Campground Dome, 15340 Palmer Road, Marston NC. Sources include: Mark Molitor, Leilani Carter, Katrina Howard.